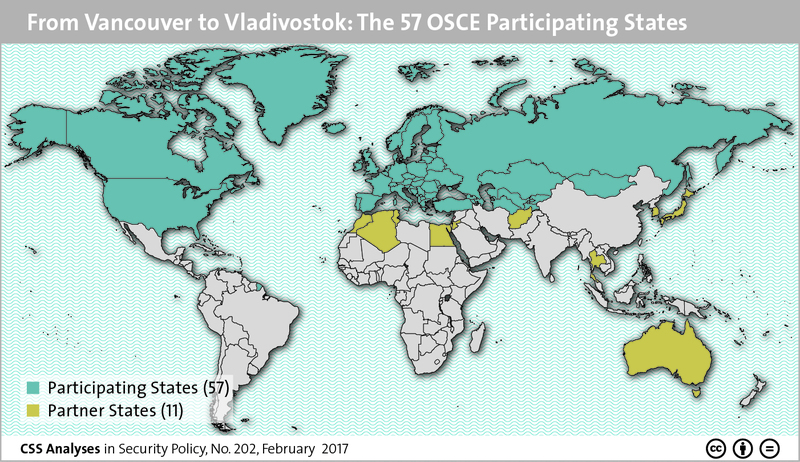 This graphic of the week maps the 57 OSCE participating states and the organization’s 11 partner countries. To find out more about the OSCE, see Christian Nünlist’s CSS Analyses “The OSCE and the Future of European Security” and “The OSCE’s Military Pillar: The Swiss FSC Chairmanship“. For more CSS charts, maps and graphics on defense policy, click here.